The image of the serpent is widely acknowledged in western culture to symbolize medicine. One of the most recognizable symbols for medicine today is the rod of Aesculapius with its entwined single serpent. It was originally a symbol representing Aesculapius, the Greek god of medicine, from around the 6th century BC. In the early 20th century the US Army Medical Corps (USAMC) adopted the caduceus of the Roman god, Mercury, with its double entwined serpents capped with wings as a medical symbol, although it had no medical association in early Greek or Roman tradition. In contrast, Iranian mythology has no recorded evidence that the image of the serpent was ever associated with the practice of medicine or pharmacy. 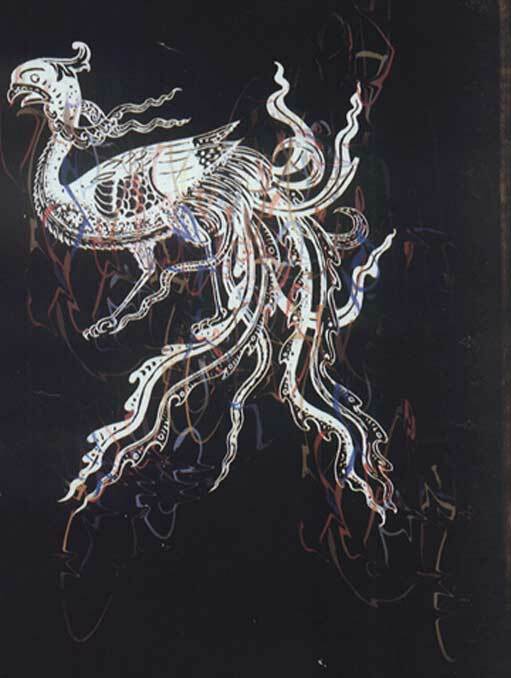 Instead, it was the mythical bird, Simurgh. * * * The Simurgh was described as a peacock with the head of a dog and the claws of a lion. She was a creature big enough to comfortably carry an elephant or a whale. The Simurgh was said to be so old that she had seen the destruction of the world three times over. This afforded her so much wisdom and learning that she possessed the knowledge of all the ages. In one legend, the Simurgh was said to have lived for 1,700 years before plunging herself into flames, much like the Phoenix. The figure of the Simurgh can be found in all periods of Iranian art and literature, as well other regions that were within the realm of Persian cultural influence. In the Avesta, the Zoroastrian holy book, containing the oldest record of the Simurgh, the Simurgh is written as Meregho Saena . Later, the name ‘Saena’ was also associated with healers. In Farvardin Yasht , verses 97 and 126, several physicians have also been mentioned bearing the name ‘Saena’. In the Dinkard, a 10th century compendium of the Mazdaen Zoroastrian beliefs and customs, it is mentioned that there was a physician by the name of ‘Saena’ who was born 100 years after Zoroaster and who trained 100 students to be physicians, during his long life. 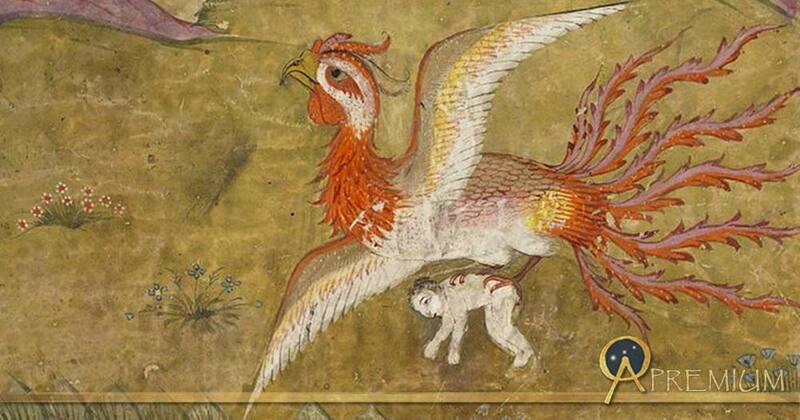 The Simurgh represented the union and served as a mediator and messenger between the Earth and the Sky. She lived in the ‘Tree of Knowledge’ and, when she took flight, her powerful ascent shook the tree's branches so violently that the seeds from every plant that had ever existed, were scattered throughout the world, bringing a wealth of valuable plants to mankind.